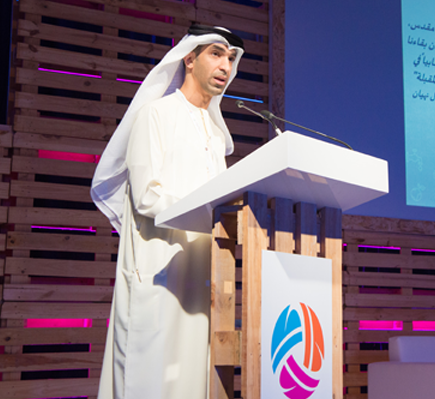 Support Majid Al Futtaim (MAF) sustainability goals by co-organising a second summit following on from the successful Dubai Sustainable Cities Summit (Dec 2015), called Sustainable Communities and Climate Change Summit – SCCCS along with our partners the Ministry of Climate Change and Dubai Lands Department. Rebranded and redesigned the existing website to reflect the new event title. Through the website we managed registration and RSVPs to print and distribute on the day of the event. Keeping in line with the sustainability theme, a minimalist approach was taken when it came to the venue set-up design and sustainable materials that could be recycled or reused were sourced where possible. Development and refining of event programme and agenda were another area we supported and ensured all changes were reflected promptly on the website. Successfully managed and implemented all aspects of the event throughout the day once the set-up had been completed ahead of schedule the day before. This involved the coordination of the speaker/panel programme in conjunction with specialist A/V requirements, stage set-ups and venue considerations.